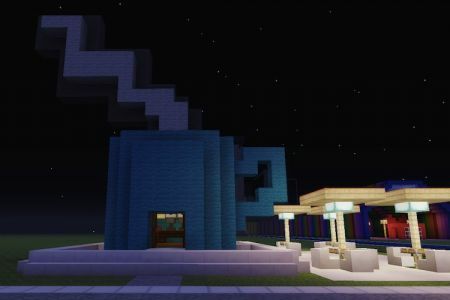 The Coffee Shop is an easy build that can add a lot of character in any town or city. The outside design makes no mistake of what you will find inside. 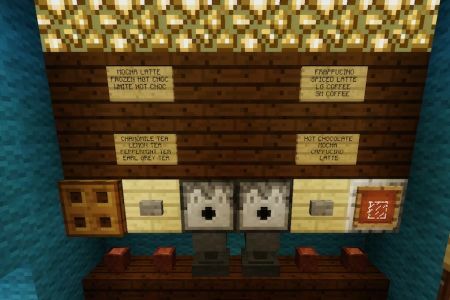 With our menu, you get a display of teas, lattes, mochas, and more to choose from. 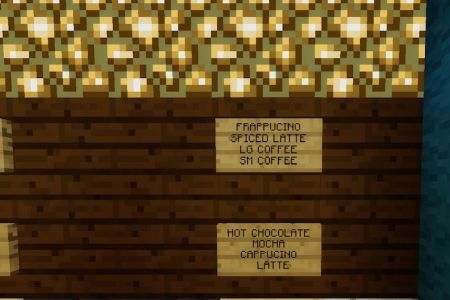 While there isn't actually coffee available in game, our shop is stocked with various potions that provide similar effects coffee would anyway. 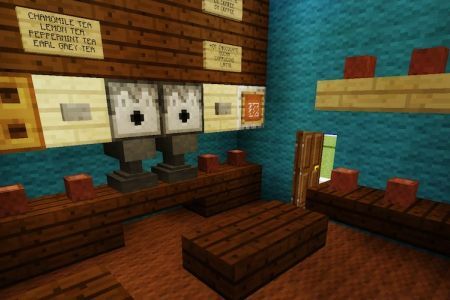 The coffee shop found in Electra Minecraft Amusement Park 8 x 8, but you can make yours as big or as small as you like. 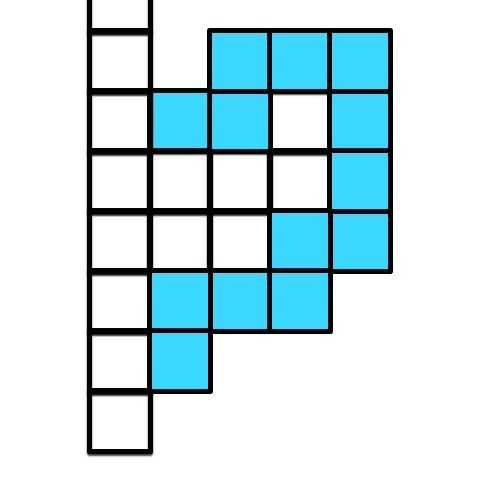 Start by creating a square, I don't recommend a size smaller than 8 x 8. 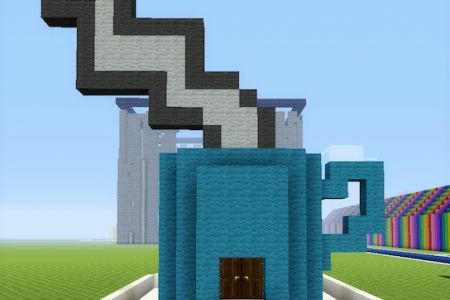 Use a wool colour that you want your cup to be. Then you will need to create the handle. 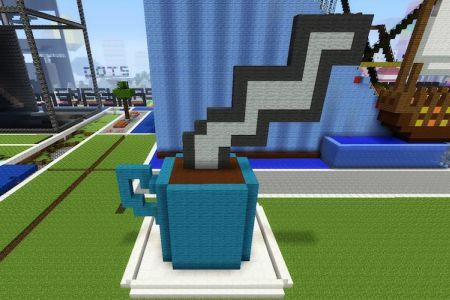 You can make the handle by adding 2 blocks next to the second top layer of the cup in the middle. Do this on either the left or ride side depending on which way you want your handle to face. 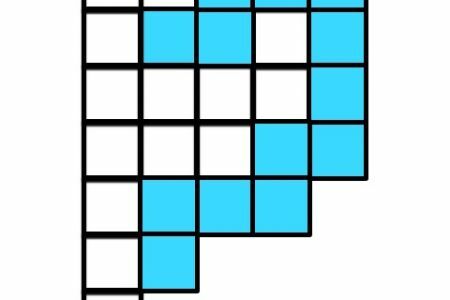 Start by adding the 2 blocks and another block on top of the last one, and then 2 more from that one. 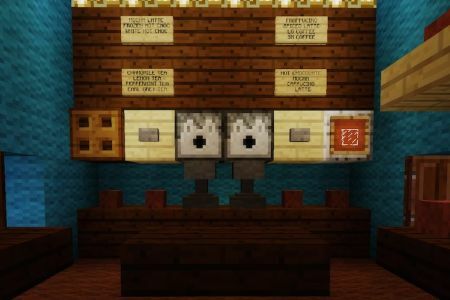 You’ll add 4 going down from the last block, and then 3 blocks back towards the cup. Add one more block underneath the last, and your done. Copy the picture for guidance on making the handle. You can easily add the hot coffee look by adding light grey wool in the shape of heat rising out, outline it in darker grey wool for a more vivid effect. 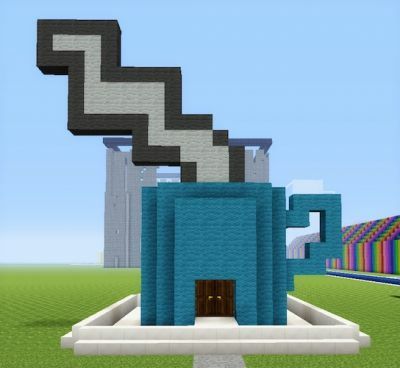 Don’t forget to make the roof out of brown wool to make your cup look full.